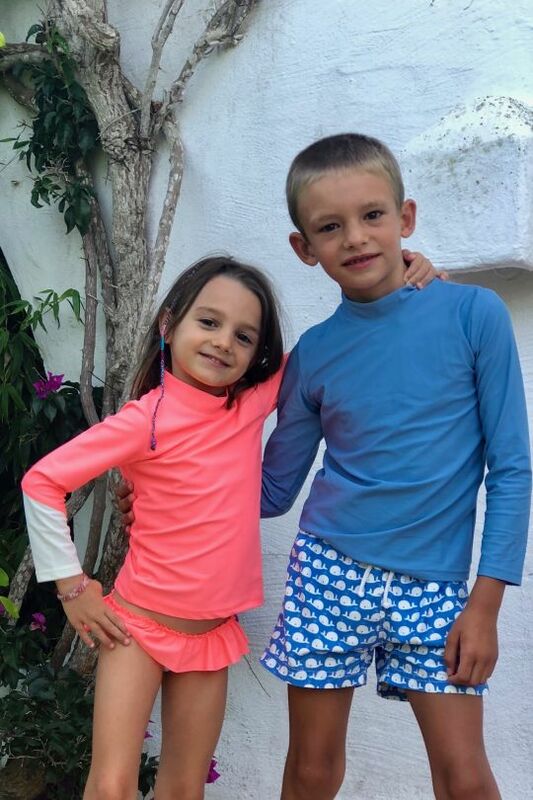 COCOI offers sun-safe and stylish swimwear for boys and girls aged 0 to 8 years, and men and women too. 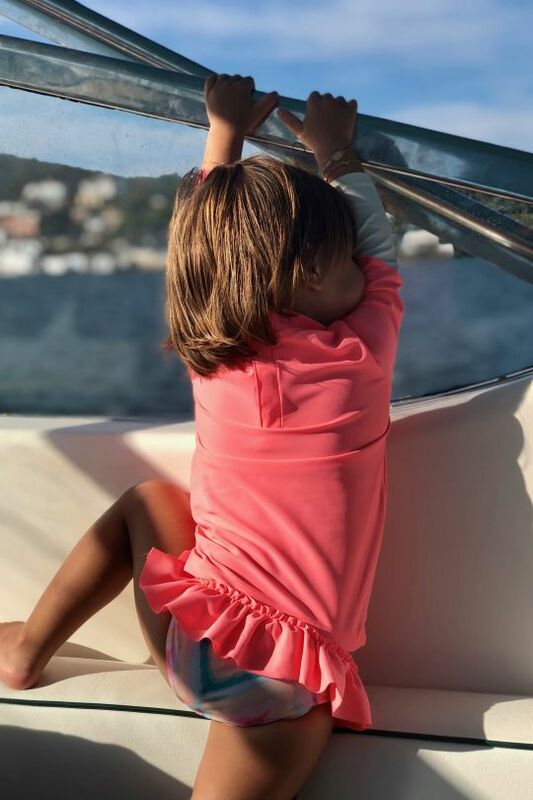 Designed and made in Spain, each item in the collection offers maximum sun protection (UPF 50+), whilst fulfilling all the design and sustainability credentials you could wish for. The range includes a sweet, but practical pieces that can be mixed and matched – rash vests, bikini bottoms, bodysuits, one pieces, shorts. Choose between simple single colours and fun patterns. Pieces have lovely details such as frills, or a contrast sleeve. What’s extra special here is that parents can opt for a matching item for themselves! How fun to kit out the whole family in something so cute and that you can feel great about! Items are carefully produced at a small family run factory to Barcelona, using high quality Italian fabrics. These fabrics primarily consist of recycled Polyamide and are designed to last. 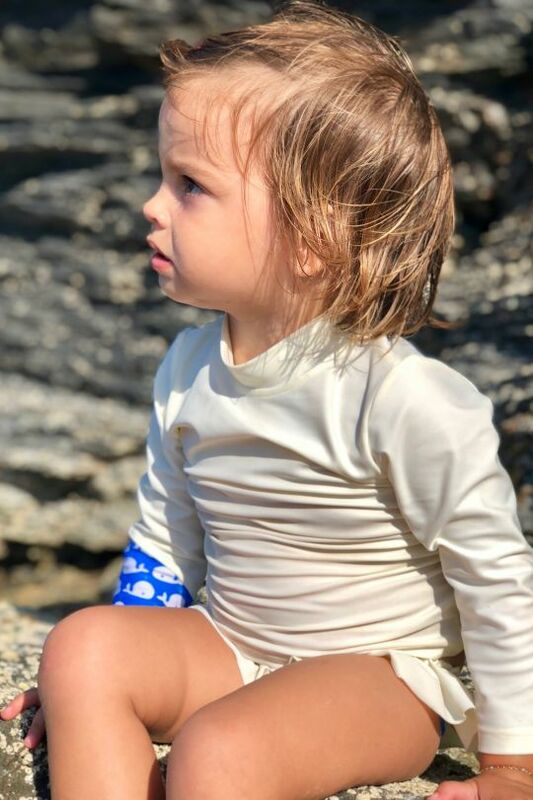 They not only offer protection from the sun (filtering out 98% of harmful UV rays), keeping precious skin safe, but also increased chlorine, suncream and oil resistance. Suits are lined for comfort and style. COCOI is the creation of two mums who’ve been friends since kindergarden. 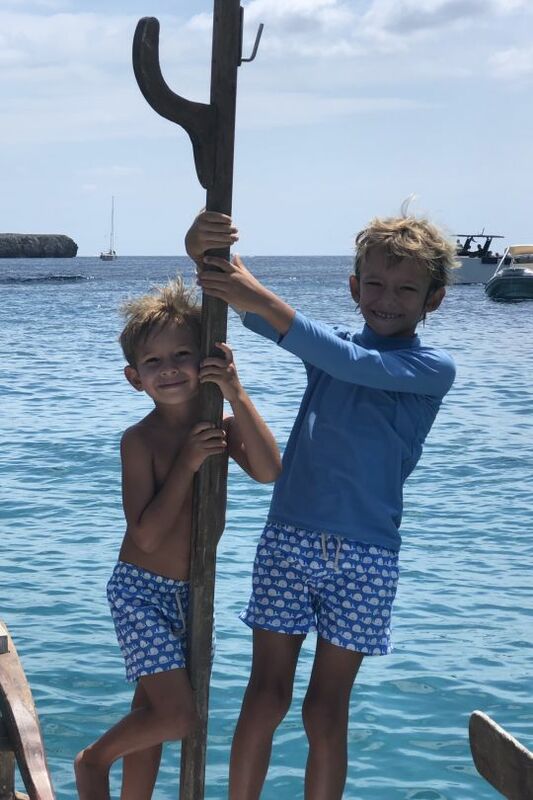 As mothers of small children, and having experienced skin cancer in their families, sun safety is of the utmost importance to Adriana and Teresa. These mamas wanted to give their children the opportunity to play without a care, and when they didn’t find outfits they liked they decided to make them themselves. They are also conscious of protecting our planet and the environment, as well as protecting precious skin. 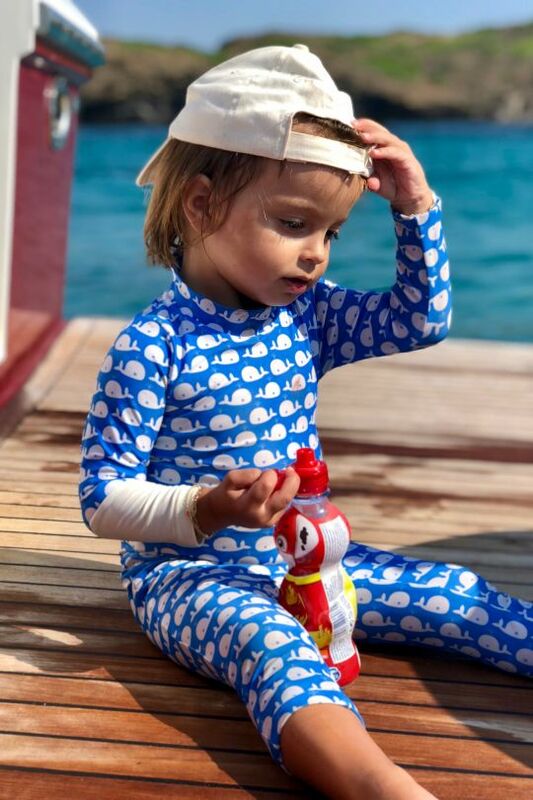 By opting for an eco-friendly sunsafe suit you reduce the use of suncreams and lotions – and help to reduce plastic packaging and the introduction of chemicals and plastic waste into our oceans, rivers and beaches. Protect your skin, Protect the world!